It’s been a weird few weeks of weather here in Budapest. I’ve spent falls a lot of places now, from the Ohio valley and Indiana forests to Georgia pine country and the Hungarian plains. And I’ve learned to accept that the weather is not going to be how I remember it growing up in Ohio, which I must argue has probably one of the best autumns in the whole universe. It’s been sunny and cool in the mornings now, and sunny and warm in the afternoons. And in the evenings the sun skirts down the shingles of the old cotton mills and electric works and a magnificent orange settles right at my eye line where I watch it from my balcony. And still, I can’t help but want a few storms. It must be the Ohioan in me that thinks, in those moments of beauty, where’s the rain? We had a few clouds here and there, but nothing too significant. 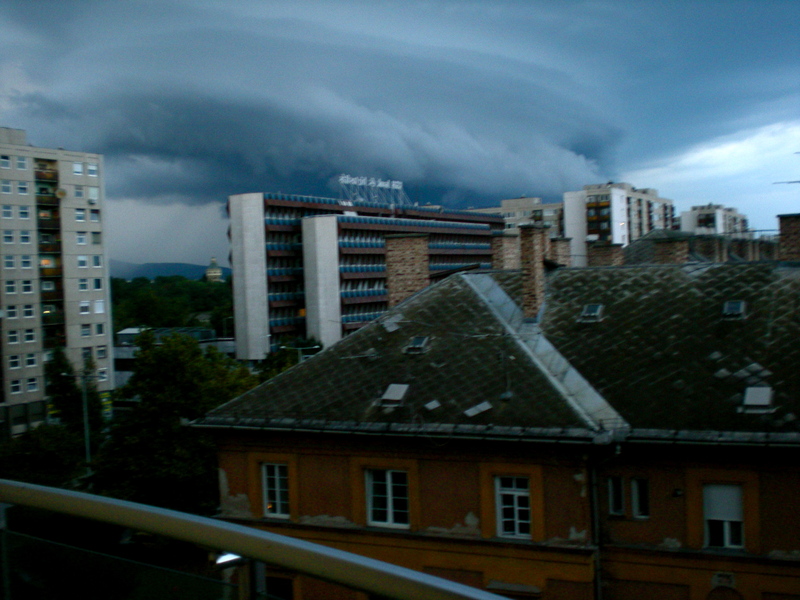 The picture above is from two weekends ago when a huge system moved across the Danube and into the heart of Pest. It was awesome to watch. We didn’t get any rain at all, from where we sat two blocks down, but we could see the whole storm bunch and move across the city. A complication of the no-rain — coupled with the fact that this is a pretty old city with more than its share of particles floating around the air –is that my allergies are going haywire. To top it off, you can’t get a good, heavy dose of speed-laced cold medicine anywhere in the country, something that you know is working because your heart feels like it might explode at any minute. (Mom– please send mucinex asap). 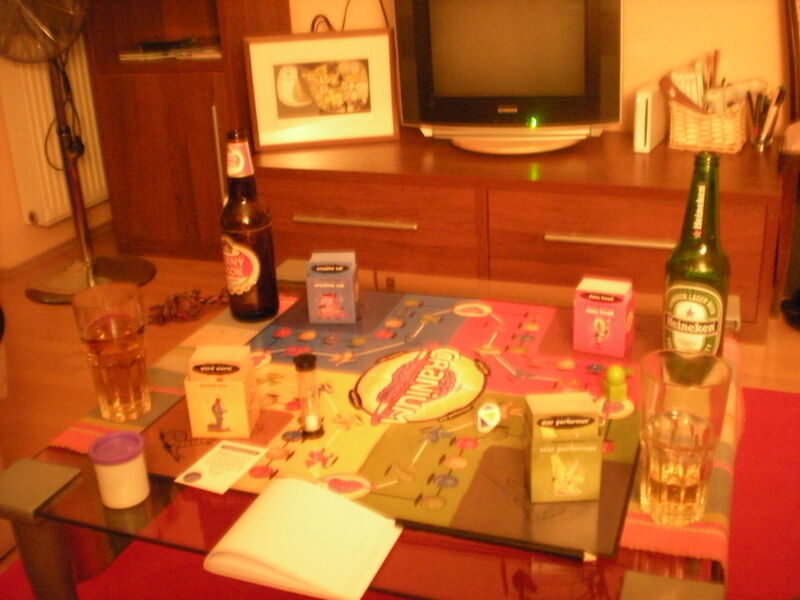 But I’ve taken it in stride by playing many rounds of Cranium. 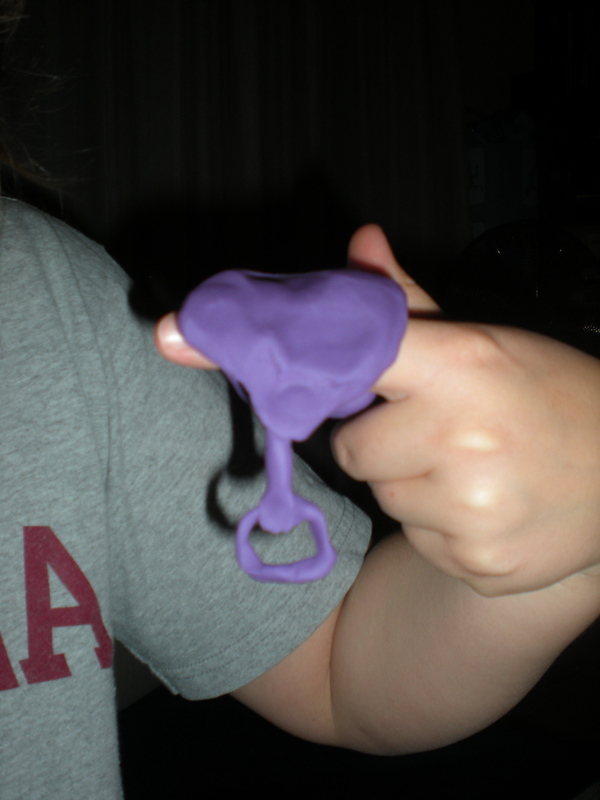 For those of you who have never played Cranium, you need to leave your computer right now, drive to the nearest store, and buy. it. immediately. Even though these things have nothing to do with Hungary or Budapest, it is what I have been doing over the last few weeks, so I thought, why not, I’ll post it for everyone in the world to see. 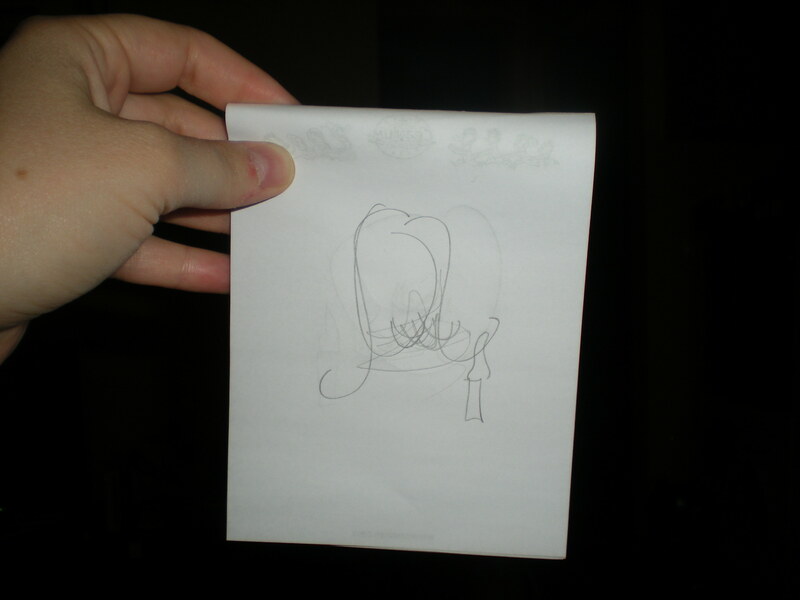 If it isn’t already obvious, I am the world’s worst drawer. The picture above is my attempt to draw “lipstick.” Now, granted, I had to keep my eyes closed while drawing, it’s still pretty awful. To make matters worse, Györgyi is apparently one of the world’s greatest clay free-sculptors. Riding Saddle, no problem! 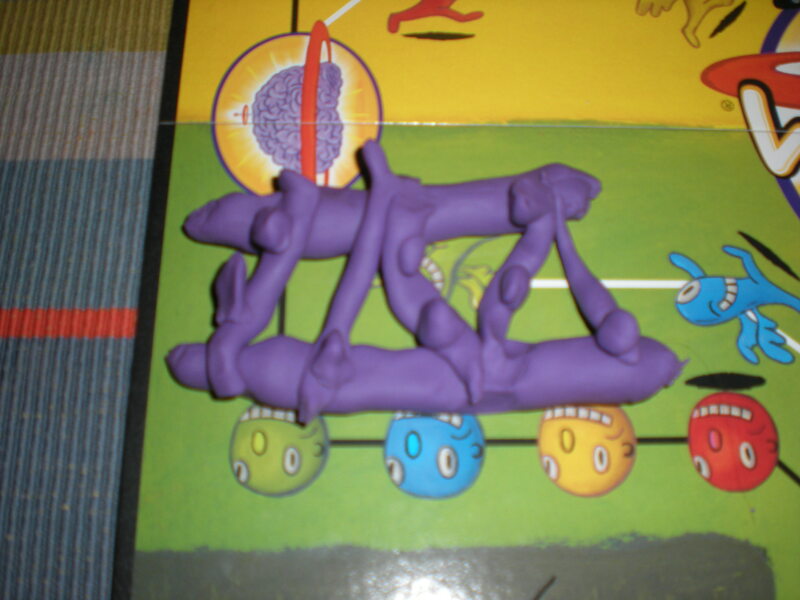 No one guessed or appreciated my sculpture of the DNA double helix. Anyway, that’s all I have to write about. I’d love for it to be the case that I would always have glamorous tales of travels to recount, but just like everyone everywhere, I have weekends where I’m stuck in at home, playing games for geeks, and waiting, patiently for a few fall storms. says ” after all his pioervus nasty maddlings here? “. What? Here in Panama? You really have lost your touch with reality. I think the best sioutoln would be to send everyone who was involved in politics in the past 60 years or so to a well deserved vacation on the Gulag, and start over.